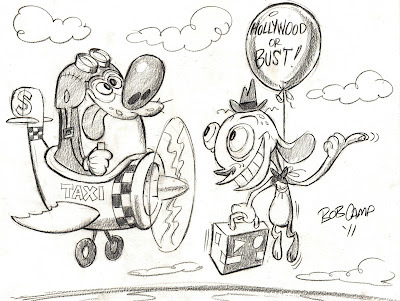 Bob Camp Cartoonist: Fly boys! Thats gonna leave a mess! Terrific! I want Ren and Stimpy back on TV! Hollywood or Bust! That's funny!